POAG is most common form of glaucoma world wide. It is estimated that 45 million people worldwide have POAG. With the exception of Asia, Primary open angle glaucoma (POAG) is far more common than Primary angle-closure glaucoma (PACG) worldwide. It is a chronic progressive anterior optic neuropathy characterised by acquired loss of retinal ganglion cell loss, visual field loss, open angles with no obvious causative ocular or systemic condition. In India, Primary open angle glaucoma is estimated to affect 6.48 million persons. Aravind comprehensive eye survey found a prevalence (95% confidence interval) of POAG it was 1.7% (1.3, 2.1) in rural population. The prevalence of POAG in rural south Indian population as evaluated by Chennai glaucoma study group 1.62%. The prevalence increased with age, and 98.5% were not aware of the disease. Vellore eye study found a prevalence (95% CI) of POAG 4.1 (0.08-8.1) in urban south Indian population. Andhra Pradesh eye disease study found a prevalence (95% confidence interval) of 1.62% (0.77%-2.48%) in urban south Indian population. Studies comparing the prevalence in urban and rural population – Chennai glaucoma study found prevalence of POAG in south Indian urban population was 3.51%, higher than that of the rural population. Andhra Pradesh eye disease study also found the prevalence to be greater in urban population (4% vs 1.6%; P<0.001). 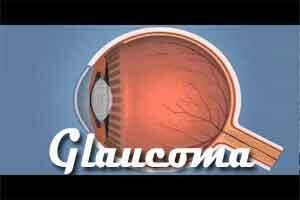 Once the blindness of glaucoma has occurred there is no treatment that will restore the lost vision. In nearly all cases blindness from glaucoma is preventable, which requires early diagnosis and proper treatment. Detection depends on the ability to recognize the early clinical manifestations of various glaucomas. Appropriate treatment requires an understanding of the pathogenic mechanisms involved, detailed knowledge of drugs and operations that control IOP. Infact sometimes, a patient needs to be followed up for an extended period of time before a decision to treat can be made. Retinal nerve fiber layer loss precedes measurable optic nerve head and conventional white on white perimetry changes in early glaucoma.Hence patients should be counseled regarding the asymptomatic nature of the disease, importance of treatment, correct technique of eye drop application and regular follow up. Each patient should be educated about different modalities of treatment. IOP recording by applanation tonometer. Larger diurnal variation in IOP either by daytime phasing or 24 hour diurnal phasing. Steroscopic ONH evaluation (Preferably through dilated pupil) with pictoric fundus diagram. Pachymetry : central corneal thickness affects IOP measurements with higher IOP in thick corneas and lower IOP in thin corneas. Fundus photography aids in documentation of optic nerve head at baseline and follow up visits. Surgical options: Trabeculectomy and combined glaucoma and cataract surgery. Out patient : Medical management : Most appropriate medication with greatest chance of reaching target IOP, with good safety profile, convenient dosing and affordable medication should be chosen. Details of the medications, dosage, its adverse effects and follow up schedule are mentioned below. • History special attention to factors including systemic diseases that influence diagnosis, course and treatment of POAG. o Gonioscopy: Is pre-requisite for diagnosis of glaucoma to rule out secondary causes like angle closure, angle recession, pseudoexfoliation, pigment dispersion, peripheral anterior synechiae, new vessels, blood in schlemm’s canal and inflammatory precipitates. Thicker CCT overestimates IOP readings and thinner CCT underestimates. There is no generally accepted correction formula. Thinner CCT is independent risk factor for conversion of ocular hypertensive to POAG as proven in Ocular Hypertensive Treatment Study. Located in midperiphery. (5-25 degrees from fixation). Not attributable to other pathology. Clustered in neighbouring test points. Defect should correlate with the ONH damage. Slit lamp indirect ophthalmoscopy using 90 D and 78 D lenses. Any contraindication to medical therapy exists. Has an edge over medical therapy in advanced glaucomas. Trabeculectomy, Combined cataract and glaucoma surgery, non penetrating glaucoma surgeries and aqueous drainage devices. Effective for majority of patients. Trabeculectomy ,combined cataract and glaucoma surgeries, laser therapy, can be done on day care basis ensuring regular follow up. Detailed history pertaining to ocular, systemic, past treatment should be obtained. Visual acuity and refraction should be reviewed. Detailed slit lamp evaluation with IOP recording, gonioscopy and stereoscopic optic nerve head evaluation should be performed. Interpretation and clinical correlation of the investigations requested. Accurate treatment as applicable and monitoring the follow up. Brief ocular history with respect to chief complaints, treatment, compliance should be obtained. Visual acuity and refraction should be performed at each visit. Should be trained in obtaining fundus photographs, perimetry and imaging.